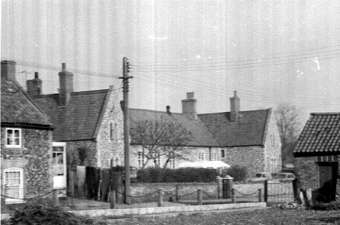 The 'Big School' circa 1960. A much older photo. Names anyone? 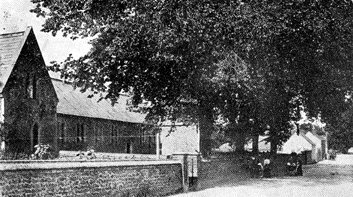 Taken from Lamberts Close at the back of the 'Big School'. 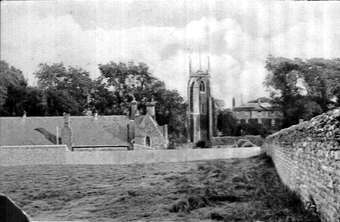 On the left another photo of the Big School and on the right one of the Little School. 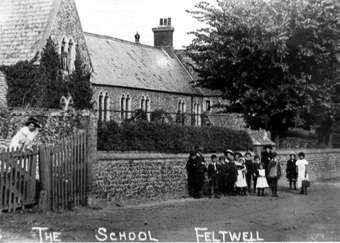 This was the first purpose built school in Feltwell and is now the WI Hall. 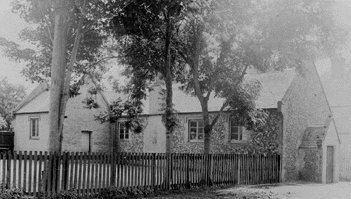 It was built and is still owned by the Sir Edmund DeMoundeford Trust.